#1 For Games 500 top games (and not just NetEnt) are reason enough to point your mobile or tablet in the direction of Leo Vegas. The welcome bonus rewards casual players and big spenders alike while big-money promotions like King of Rock offer huge prizes. The hardest job you’ll have is picking out a game to play first. More awards than they can manage, a lobby bursting at the seams with top slots, mobile games and great prize giveaways: do you need any more reason to play at Leo Vegas? Definitely not, and see why in the full Leo Vegas Casino review below. 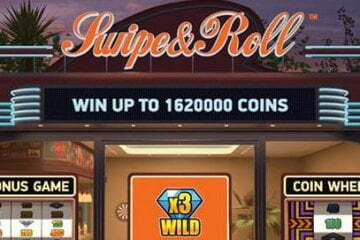 They might have only been on the scene for a few years, but the Malta/UK-licensed mobile casino is paving the way for how casinos should be designed. Let’s take a closer look at what makes the lion roar. Ease of use is the Leo Vegas way. Unlike other mobile casinos, which look just like extensions of the online version, Leo Vegas Casino has been designed with mobile gamblers in mind. The layout is simple, with colourful graphics in the lobby, and the games sections are clearly signposted (Top Games, Newest Games, etc). There’s an option to view all games at once too. Look out for the lion’s paw icon: it provides an extensive dropdown menu where you can quickly get to your Balance, Withdrawals or Gaming History. 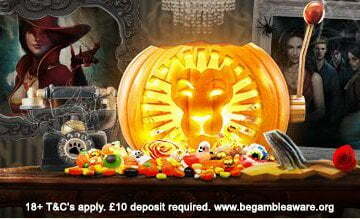 If you don’t mind your welcome bonuses spread over multiple deposits, Leo Vegas’s is one of the best around. Promotions run monthly and usually focus around new releases. 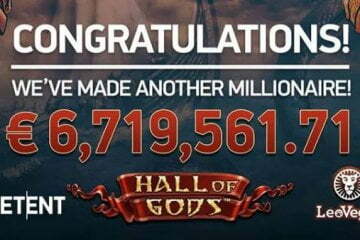 February 2016 saw the site offer a fantastic trip to the USA to celebrate the release of NetEnt’s new Guns N Roses slot. The package included flights for two, 5-star hotel accommodation and guitar lessons from rock legend Joe Satriani. Tickets are awarded for every £7 wagered on the slots, with a prize draw determining the prize winners. 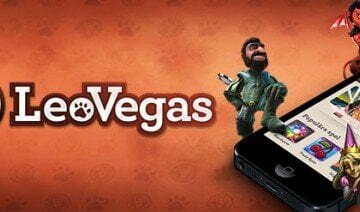 Leo Vegas Casino offers both download and instant-play games for its customers. 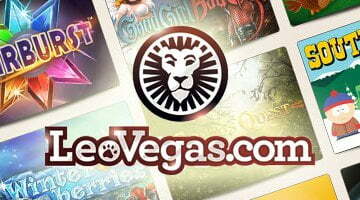 You can download the iOS app from App Store or the Leo Vegas website. Remember to allow ‘Unknown Sources’ if you’re on an Android device as the app isn’t in the Google Play store. The casino benefits from a spanking new 2048-bits SSL certificate from Digicert to prevent hackers getting into your account mid-spin. As for games, Leo Vegas offers around 400 games for mobile, clearly listed in the lobby. Choose from over 300 slots from developers as diverse as NetEnt, IGT and Play N Go. The table games selection is pretty generous too, with 36 games to choose from, plus a Live Casino. At last count, there were just the nine jackpot slots to pick from. We use a 2048 bits SSL certificate from Digicert to guarantee safe games on the web as well as on your mobile phone. This prevents outsiders from intercepting our communication between players and their computers and phones.We use a 2048 bits SSL certificate from Digicert to guarantee safe games on the web as well as on your mobile phone. This prevents outsiders from intercepting our communication between players and their computers and phones. Leo Vegas Casino players can rely on segregated funds (kept in a separate Swedish bank account) while they play. Luckily, there’s a huge range of deposit options for a mobile casino. The usual suspects of VISA, VISA Debit and MasterCard can all be used, as well as NETELLER, Skrill and iDEAL. We found deposits a little temperamental, but iPhone iOS 8 or 9 users sometimes need to clear Clear History and Website Data on their Settings to enable banking. 400 top mobile games (and not just NetEnt) are reason enough to point your mobile or tablet in the direction of Leo Vegas Casino. The welcome bonus rewards casual players and big spenders alike while big-money promotions like King of Rock offer huge prizes. The hardest job you’ll have is picking out a game to play first.